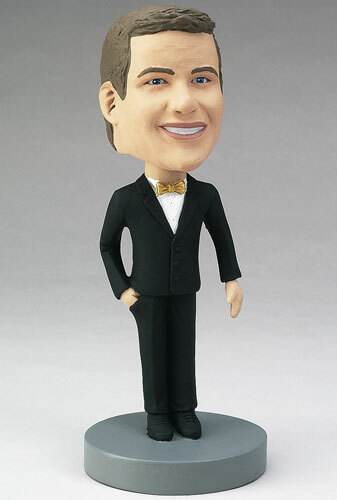 A quirky gift for your groomsmen, this custom bobblehead can be engraved with the date of your wedding. Personalize each bobblehead with accessories that highlight your groomsmen's personalities, and change the colors of the tux and tie to match what you are wearing for the wedding! These unique dolls will commemorate that day and be a unique way of saying "thank you".